This breathtaking 13 Light Flush Mount with Chrome Finish is a beautiful piece from our Hallway Collection. With its sophisticated beauty and stunning details, it is sure to add the perfect touch to your dicor. This breathtaking 5 Light Flush Mount with Chrome Finish is a beautiful piece from our Halo Collection. With its sophisticated beauty and stunning details, it is sure to add the perfect touch to your dicor. 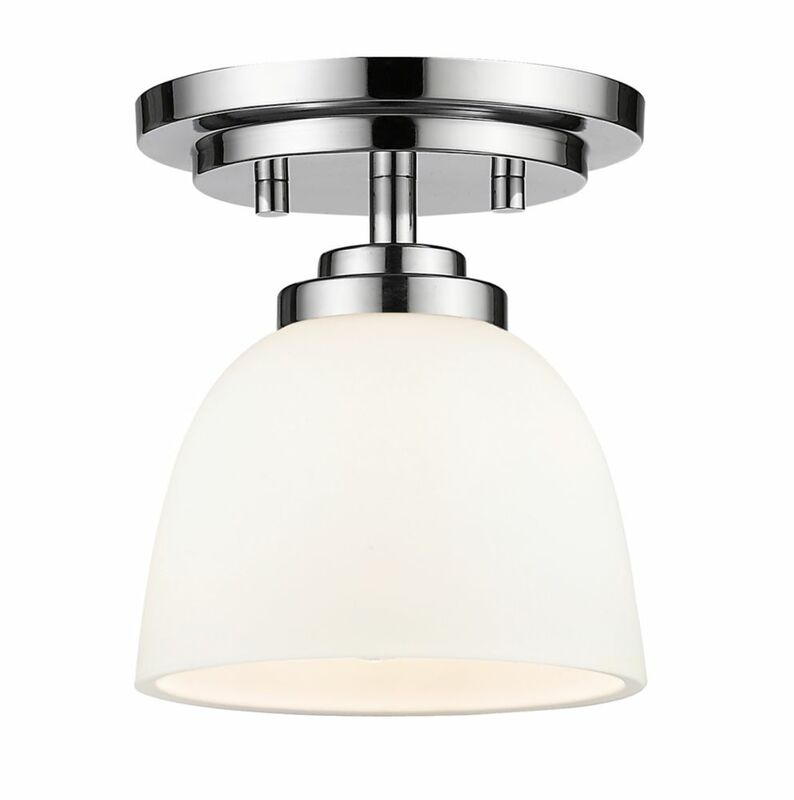 This breathtaking 15 Light Flush Mount with Chrome Finish is a beautiful piece from our Josie Collection. With its sophisticated beauty and stunning details, it is sure to add the perfect touch to your dicor. This breathtaking 1 Light Flush Mount with Chrome Finish is a beautiful piece from our Palm Tree Collection. With its sophisticated beauty and stunning details, it is sure to add the perfect touch to your dicor. 1-Light Chrome Flush Mount with Matte Opal Glass - 6 inch This flush mount will update your home with its eye-catching design. Featuring a chrome finish and matte opal shade(s), this fixture will accommodate a variety of dicor styles. With its easy installation and low upkeep requirements, this flush mount will not disappoint.